The New Year brings new hope and new Exclusive deals with various casinos. We’ve been busy negotiating some good deals for 2018 and we are pleased to announce our latest partnership with Casino Cruise. For all new players who are still not sure about where to play, look no further. All new players at Casino Cruise can get an Exclusive 55 Casino Cruise No Deposit bonus spins and a generous 100% bonus up to €/£/$200 and 200 Bonus Spins. If you’re a slots enthusiast, then you will know that online casinos are not always generous in handing out No Deposit bonus spins offers. 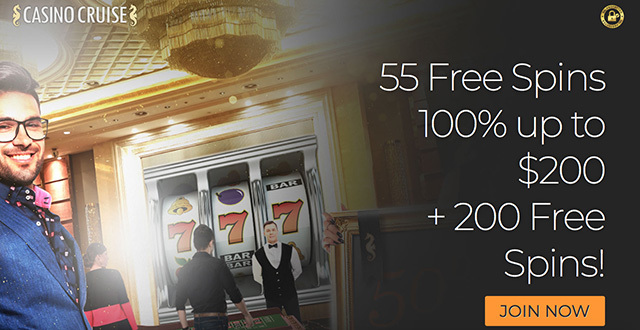 However, with our new partnership, you can get 55 Casino Cruise No Deposit bonus spins for FREE! Have a look below on how to get your bonus spins and Exclusive welcome bonus. If you’re still shopping around at Casino Cruise and haven’t yet committed to making a deposit, why not register for a casino account for free to have a look around? Sign up for a Casino Cruise account using our Exclusive links on this page (or click here). Your 55 Casino Cruise No Deposit bonus spins will be available on the Starburst slot the day after you’ve signed up for your account (12h00 GMT). Open up the Starburst slot the next day to play your bonus spins. New players who haven’t yet signed up for a casino account at Casino Cruise can take advantage of the Exclusive Welcome bonus of 100% up to €/£/$200 + 200 Bonus Spins. The minimum deposit is €/£/$10 or equivalent to claim this Exclusive bonus. Note that the offers mentioned on this page are Exclusive deals that we have negotiated with Casino Cruise for our Gameplayer-Casinos followers. If you’d like to claim any of these offers, please use the links on this page. Only new players who have not signed up for an account at Casino Cruise are eligible for these offers. The wagering requirement is 40 times for this Exclusive Welcome bonus. 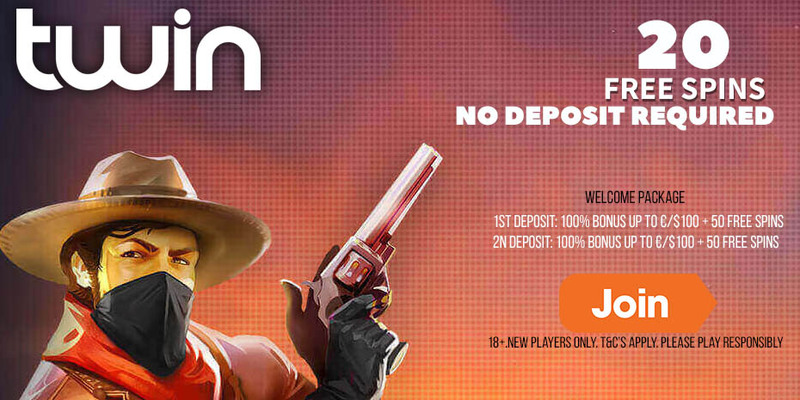 The No Deposit bonus spins are available on the Starburst slot. Canadian players will receive their 55 bonus spins on the Lady of Fortune slot and not on Starburst. Bonus spins winnings need to be wagered 40 times. The maximum bonus spins winnings is AUD/CAD/€/£/$100. 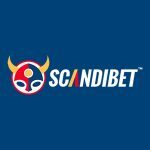 Players from these countries are restricted from play at Casino Cruise: Nigeria, Bangladesh, Poland, Malaysia, China, Bulgaria, Thailand, Indonesia, Mongolia, Bosnia and Herzegovina, Georgia, Philippines, Belarus, Latvia, Czech Republic, Kazakhstan, Vietnam, Lithuania, Republic of Moldova, and Ukraine.